Video SEO enhance the ranking and visibility of the video in the search engines. It allows showing video on the first page of the search engine results. The process involves creating video metadata relevant to what people are searching. Since web crawlers cannot see the actual video data, SEO process for video SEO uses tags and metadata to lead crawlers to the video. A reliable way of promoting videos in searches is to have a video sitemap. A video sitemap is the gallery of videos. Video sitemap hosted on the website itself. Having a sitemap tells the search engines that a vast video catalogue is present on the site. Video metadata tells the search engines about the title of the video, the video description, length of the video the transcript and the thumbnail. A page that includes the right video markup helps the search engine to identify and index the video correctly. The goal of SEO is to drive traffic to the video or the website. Most of us already know that the famous type of online content is video. Internet users consume more video and more thoroughly when compared to other forms of content. Studies revealed that the best way of online content to make a significant impact is video. However merely creating video is not enough to get the attention of the people. One has to make sure that the video found by the people. Search engines can crawl or index the text, and they cannot do the same with the video and so cannot determine the subject. Search engine optimisation or SEO is significant for the video. Make your video easy for Google and YouTube to understand complete mete date. Create optimized Title, Description, and Tags. Consider using closed captions or uploading a transcript. How do you see YouTube videos tags? If you watched some video on YouTube and now you want to see the tags used in this video. If you are using Chrome browser, do right mouse click and go to view source option. Go to view source page, press Ctrl+F button and search for video Keywords. Another way of watching YouTube Video Tags is by using VidIQ Chrome Extension. What do tags do on YouTube? According to YouTube, tags are one of the most critical ways to rank your video in YouTube search results. Video Tags help users find your video when they search on YouTube Platform. How many tags can you have on YouTube? Do tags on YouTube get more views? more search visibility it creates for people to find your video on YouTube search. Ranking high in the search results depends on the quality of the video. The more the quality of the video, the higher the user will spend time on it. However, it is also necessary that the content should be relevant to the keywords and is of some value to the audience. The video should grab the attention of the audience in the first few seconds. If it fails to do so, the viewer is going to leave it. If the audience is not watching the video, the effort of creating it wasted. If the audience is moving quickly, the search engines are also going to rank the content lower. It will hurt the SEO of the video. 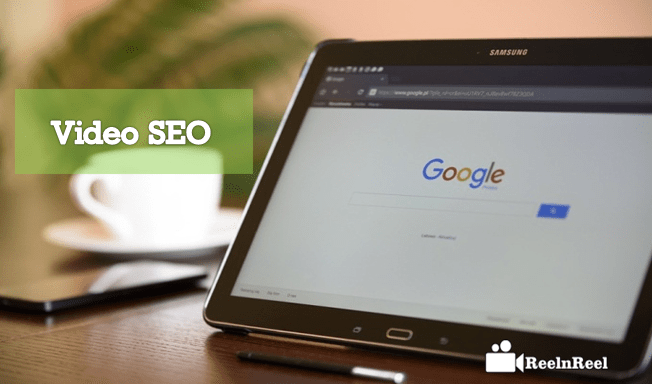 High-quality video regarding SEO is the one that engages the audiences and makes them share the video and not necessarily the higher production value. The content the video content is critical to get traffic. Search engines rank the video higher if it engages the viewers. According to experts, the type of videos that involves the audience more is the How-to videos, tutorials, and reviews. To improve video SEO, it is recommended to post the video on the second largest search engine that is YouTube. The video should also embed on the website or the blog. Add the link to the site of the page in the YouTube video description to drive the viewers to the website from YouTube. The video that hosted on YouTube get more views, and more views is an indicator to the search engines that the video quality is excellent and they rank the video higher in search results. Some extra effort put on video will improve the SEO of the video. It is essential to optimise the video title, the description and includes relevant keywords in them. This is because the search engines cannot interpret and index the content of the video. Search engines cannot crawl video to create a transcript of the audio of the video. Include a lot of relevant keywords. Including the right call to action such as visiting a website is required. The video is the most potent content, and it can make a significant contribution to the SEO strategy if used rightly. Creating a video is a great idea but it must compliment the overall SEO strategy and should generate ROI. A common mistake done by many is not to define video goals. Another is to not concentrating on the load time. Including images, video and other things on webpage slow down the loading of the page. If the load time is slow, it can damage the SEO. The users will merely exit out of the page, and search engine gives low ranking to the sites. If the video on the webpage not optimised correctly, it could be because of the reason for slow load time. Optimizing the media improves load time and improves SEO ranking. Host all the video files in a single folder and create the video sitemap. Sitemap helps the search engines to index the videos. Not optimising the webpage or the video for the mobile device is another common mistake that should b avoided so that it does not affect the SEO. Video SEO is the toughest but is also the most valuable. Google usually takes up to two weeks to index the new video content. Some practices can prevent Google from indexing the video. Incorrectly setting the redirects may be one of the causes. Placement of video on the page is another thing that can negatively affect the SEO. Make sure that the videos are embedded at a right viewing size and placed near the top of the page. Video SEO enhance the video search easier in the search engine and improves the optimizations of the video on social media. we have expalines some Video SEO tips to Video SEO and some common mistakes every advertiser does in Video marketing. How to Brand Your Small Business Like a Pro Using Videos?